Body size has long been a topic of concern for many people. From the diet pills of the sixties to the grapefruit and cottage cheese diets of the seventies to the pre-packaged food plans that emerged in the eighties to diet pill combo fen-phen in the nineties to the high protein, low-fat diets of the new millennium, we are always looking for a way to slim down and shape up. Add to that the increase of extreme sports and body challenges that have gained popularity in the past years. It is not unusual for millennials to exercise for hours a day, compete in marathons and bike races, and spend thousands of dollars on trainers, private classes, state-of-the-art equipment and more. A hardbody is the ultimate status symbol for many, especially those who live in body-conscious cities like Miami, Los Angeles, and Seattle. 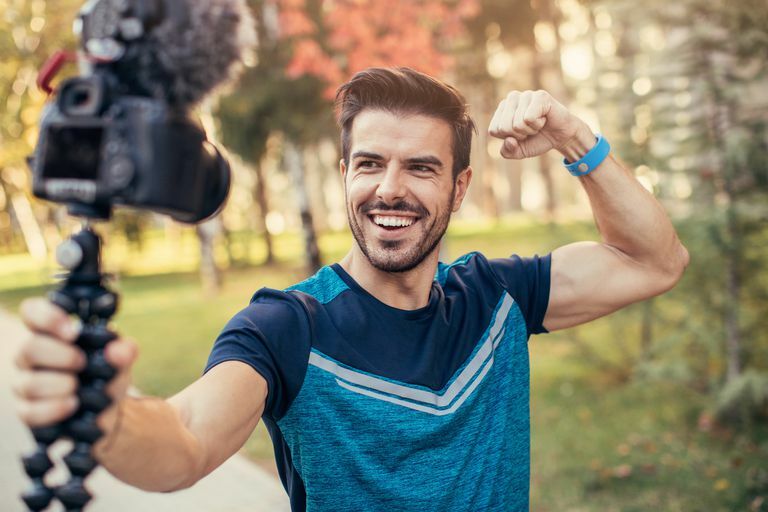 For teens and young adults, social media has added a new and often more critical way for them to look at themselves and compare their bodies with other people's. The tools available to alter images, apps that are quickly downloaded and easy to use, can fix every flaw and blemish, slim big hips and enlarge biceps, allowing everyone to create a body – at least online – that they are proud of. Snapchat and Instagram filters can alter lighting, shadows, even what decade a photo looks like it is from. All of these tools can be lots of fun but can be deceptive as well. "And thanks to an array of free applications, selfie-holics now have the power to alter their bodies in pictures in a way that’s practically on par with makeup and other beauty products. If the Internet has been called a great democratizer, perhaps what social media has done is let anyone enter the beauty pageant. Teens can cover up pimples, whiten teeth and even airbrush with the swipe of a finger, curating their own image to become prettier, thinner and hotter." writes Rachel Simmons of TIME Magazine. Despite the tools to alter what they share online when many young adults look in the mirror, they are unhappy with what they see. And the unfortunate truth is that body size is not getting smaller among young adults. According to the U.S. Department of Health and Human Services, since the early 1960s, the prevalence of obesity among adults more than doubled, increasing from 13.4 to 35.7 percent in U.S. adults age 20 and older. Though the ideal body type is still something many young men and women are working towards through diet and exercise, it can be wildly out of reach for many. No amount of leg lifts, bench presses or miles run on a treadmill can transform short legs into long ones, small breasts into large ones, wide hips into slim ones. Obviously, the best goal for anyone, young or old, is to be as healthy as possible and make peace with the body type one is born with. Sports doping can have a dramatic influence on young adult men, especially those who participate as competitors in amateur competitions. While women can be susceptible to the dangers of steroid use, it is most prevalent among males, especially those who play sports in high school and college, where steroid use has increased as much as 37% since 1996. There are trends that may not promote health and fitness even as they are encouraging body acceptance, and parents of young adults should be alert to these movements both online and in real life. The "Ana" trend involves tricks and tools for living an anorexic lifestyle, with blogs, chat rooms, Facebook groups and more that promote this dangerous and unhealthy lifestyle. On the other end of the spectrum is the fat acceptance movement, giving voice to those who are comfortable with their obesity and state that they are healthy, despite what others may think. Many Instagram stars have arisen from this community, creating a whole new segment of fashion stars and lifestyle influencers. Fat people are discriminated against in all aspects of daily life, from employment to education to access to public accommodations, and even access to adequate medical care. This discrimination occurs despite evidence that 95 to 98 percent of diets fail over five years and that 65 million Americans are labeled “obese.” Our thin-obsessed society firmly believes that fat people are at fault for their size and it is politically correct to stigmatize and ridicule them. Fat discrimination is one of the last publicly accepted discriminatory practices. Fat people have rights and they need to be upheld! Body acceptance is, on the whole, a good shift in our culture – knowing that there is a range of types, sizes, shapes, colors, and races is a positive and inclusive change in our media and our communities. There is no truly "ideal" body type, and that is what positive body acceptance should be promoting – but as with all things, extremes can be dangerous and counterproductive. Is My Young Adult OK? It's a tough call as to when a parent should say or do anything regarding their young adult's body size and how they take care of themselves. In most cases – probably all cases, in fact – young people (and anyone) are acutely aware of how they look and also how they feel about their bodies. Standards of beauty that parents have can vary greatly from what their children see as attractive. Unless your young adult appears to have a severe eating disorder or health problem, it's better to wait for them to come to you for help and advice. If you have questions about your young adult's situation, you can contact the National Eating Disorders Association (NEDA) for help and support.